What is the Kanner Foundation of Taiwan? (http://www.kanner.org.tw/Chronicle.aspx )? The Kanner Foundation of Taiwan was established on Oct.2004 with the mission to help more autistic patients and their families to achieve sufficient medical resources. To make these autistic friends acceptable by the general public, the Kanner Foundation of Taiwan decided to replace the name “Autism” with “Kanner syndrome,” hoping that people would reach out to them with a more positive attitude. 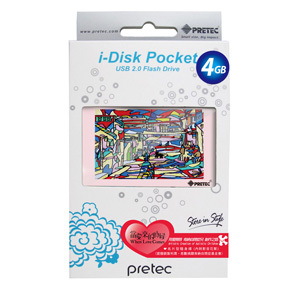 It started with donations from a few Pretec staff before the company decided to fully support the foundation. Unlike many other large charity organizations, the Kanner Foundation of Taiwan has been working independently and quietly in helping the autistic families but still requires external resources to meet their expansion needs. 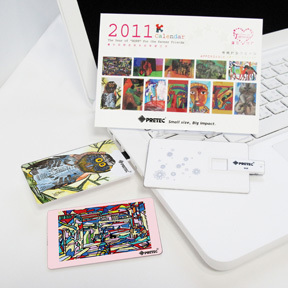 Beginning from 2009, Pretec not only made corporate donations but also kicked off a product program to promote the young kanner artists. 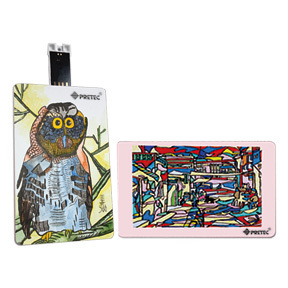 Their paintings are smartly combined with Pretec’s pocket size USB flash drives and nicely packaged for selling. 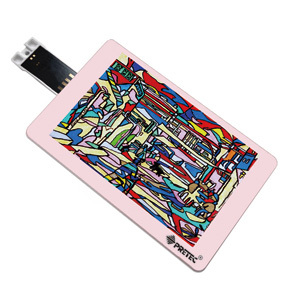 All the profits will be donated back to the foundation as their long-term income support.